Scroll on down to see your choices. 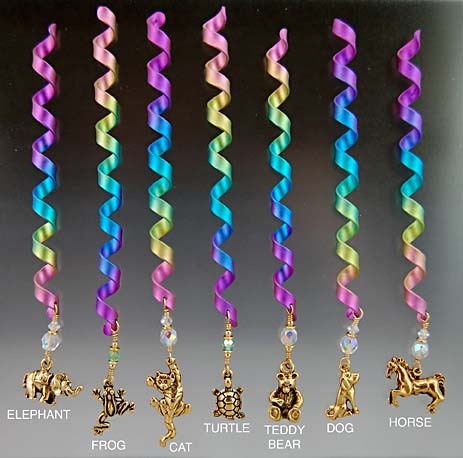 There are 5 pages of Fancy Ribbon Style Titanium Hair Wraps. Titanium Ribbon Style Hair Wraps measure approximately 3 1/2" in length and 1/4" in diameter, ribbon approximately 1/4" wide. These all have a hole drilled so you can hang your own charms. and 1/4" in diameter, ribbon is approximately 1/4" wide.